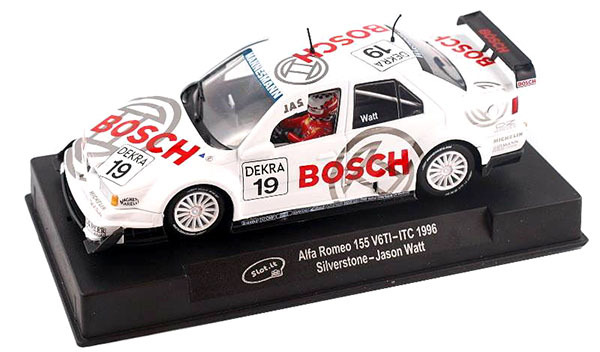 We found a few of these Slot.it replicas of one of the 962C Porsches and they are on sale for just one week. One to a customer. No dealers. 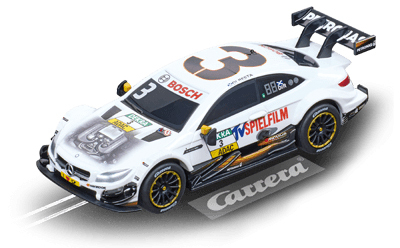 The only new Carrera set with 1/24 scale cars (1/32 cars work just as well) and a 26-foot long track is here so you can order yours now for the ultimate Christmas gift. 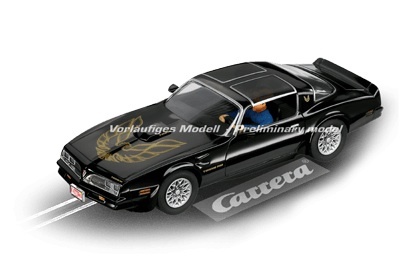 Carerra 23626 Youngtimer Showdown Set---PRE-ORDER NOW! 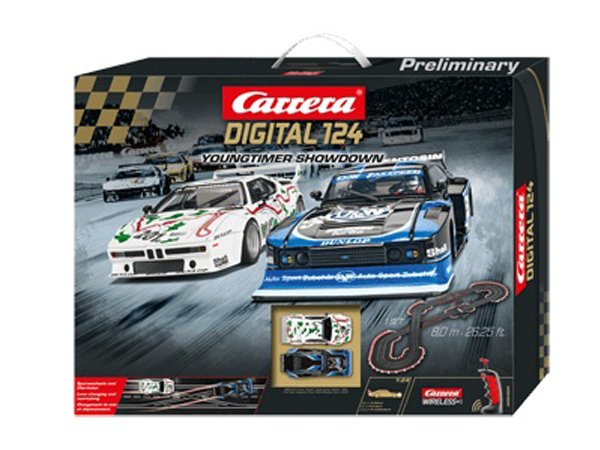 The Carrera Digital 124 ‘Youngtimer Showdown’ set features two icons of German motorsports with legendary drivers at the wheel. The BMW M1 Procar in the Nürburgring sponsorship livery, driven by Hans Joachim Stuck, is pitted against the Ford Capri Zakspeed driven by Klaus Niedzwiedz and is sponsored by the tuning legends D&W. Few eras have made a more lasting impression on motor racing fans than the period at the beginning of the eighties. Now there’s a chance to revive these memories around the 8m Carrera racing circuit. The Carrera 25233 set pits the 2017 Formula 1 Ferrari SF70H against the Red Bull RB13. 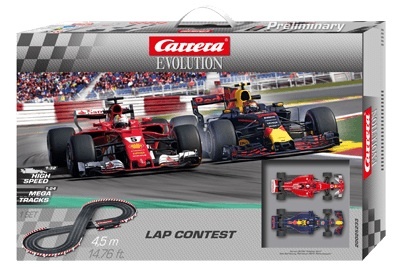 You can have the set now to be able to race your own cars while the 1/1 Formula 1 season is still in progress. Ferrari vs. Red Bull Formula 1. Everybody’s ready to go in the Formula 1 Carrera Evolution ‘Lap Contest’. Carrera’s acquisition of the exclusive reproduction licence means the first racer on the grid in his Ferrari SF70H is no less than 4-time world champion Sebastian Vettel, who faces the youngest Formula 1 driver of all time, Max Verstappen, in his Red Bull Racing TAG Heuer RB 13. Only the handset skills of the drivers can decide which of these two world class drivers crosses the line first and ultimately becomes the champion of motorsport’s supreme racing series. The 4.5-metre/14.76ft. 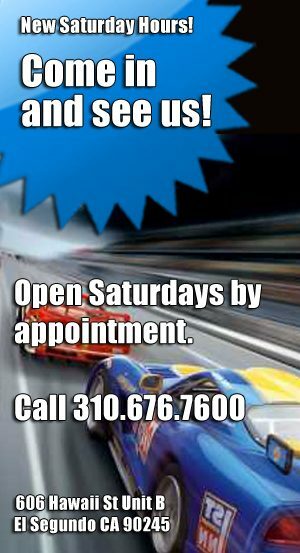 high-speed circuit is ideal for superlative Formula 1 action. 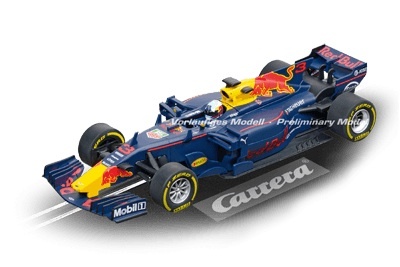 Three of the analog cars from Carrera’s 2018 series are here, including the 'Blackbird" Firebird, and one of the Red Bull 2017 Formula 1 cars. Better than the best The Red Bull RB 12 was the best Formula 1 chassis had ever built. Then came the Red Bull RB 13 to completely overshadow the previous model. The bright and powerful colours of the bodywork ensure that every motorsports fan finds this car astounding. With the Australian driver D. Ricciardo in such a magnificent racing car Red Bull can look forward to winning some of the most important and prestigious races of the season. 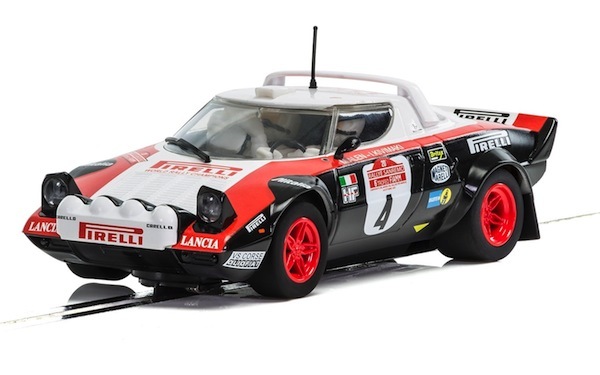 The Scalextric replica of the Lancia Stratos 1978 San Remo Rally is here. 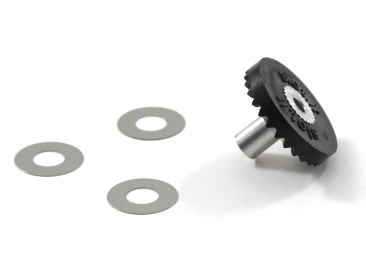 The new Slot.it Alfa SICA40a and SICA45A have lighter, lower and wider bodies then the Alfa SICA35 and the new chassis has a longer pickup mount (+3mm) compared to the SICA35a, which allows better performance. 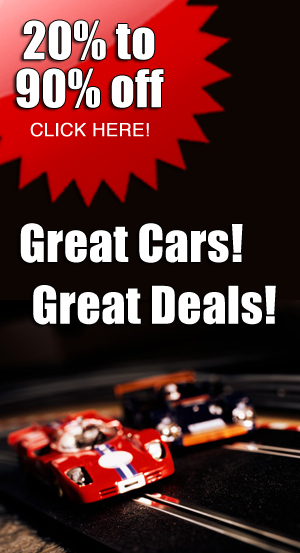 Order both to recreate the classic DTM batttles. 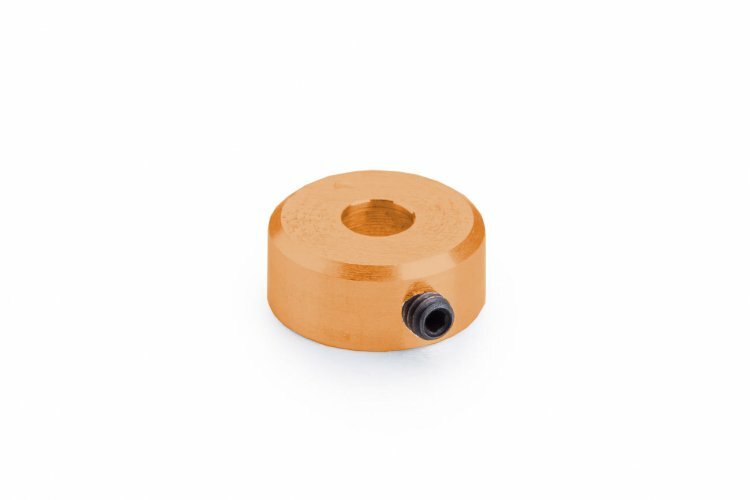 The Alfa CA40a has lighter, lower and wider body then the Alfa CA35a. The new chassis has a longer pick up mount (+3mm) compared to the CA35a, which allows better performance. 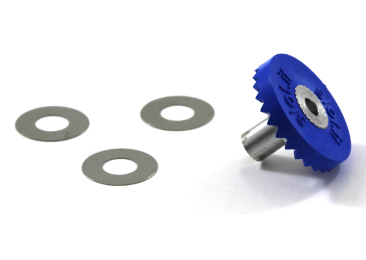 Slot.it has created a new crown gear with thrust washers that contact the motor shaft to reduce friction and wear. 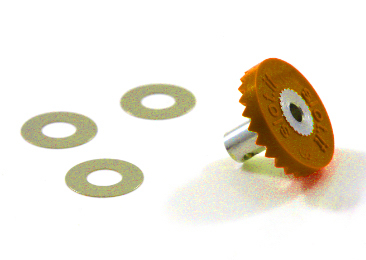 They are now available for inline applications with zero offset motor pods. You can order yours now. Two new Go !!! 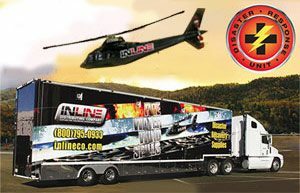 1/43 scale sets, one with Cars 3 racers and the other with a black and white police car and a bright red Mustang are here so order youts to be sure you have it for Christmas. 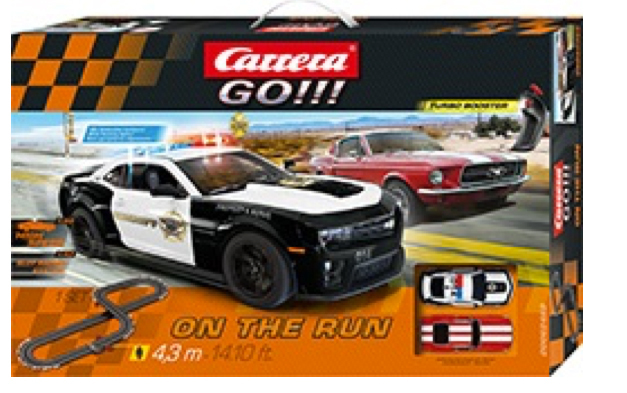 Carrera 62462 On The Run Set---PRE-ORDER NOW! 18 of the 20 new Carrera Go!!! 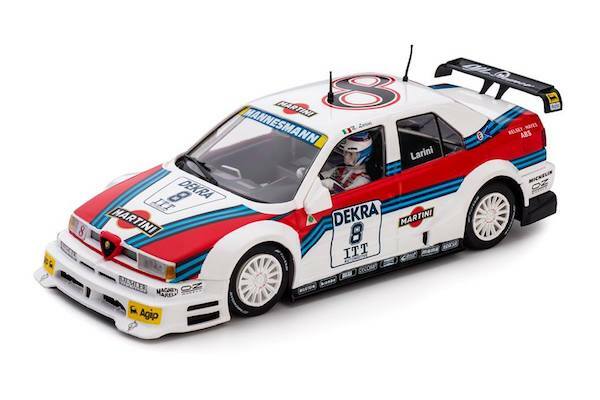 1/43 scale cars for 2018 have arrived. 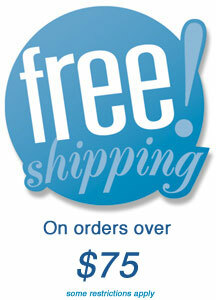 Order yours while there is still a full selection. 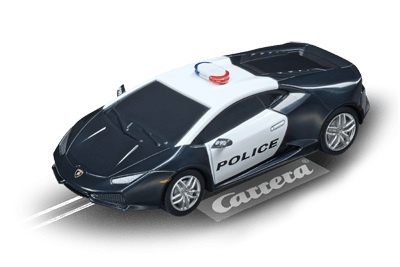 Carrera 64098 Lamborghini Huracán LP 610-4 Miami Police 1/43 Scale---PRE-ORDER NOW! A fighting bull on the police force This American cop car is guaranteed to make plenty of car enthusiasts jealous: the black Lamborghini Huracán LP 610-4 “Police” with its striking blue lights has a top speed of 325 km/h, making it guaranteed to catch any law-breaker. 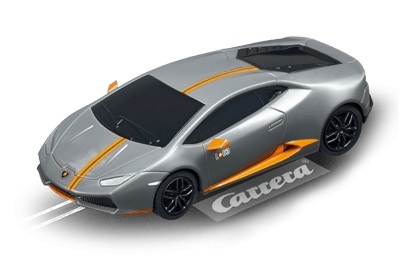 Carrera 64099 Lamborghini Huracán LP 610-4 Avio 1/43 Scale---PRE-ORDER NOW! A miracle of speed in striking, contrasting colours The Italian manufacturer launched its limited edition flagshiip, the Lamborghini Huracán LP 610-4 Avio, at the 2016 Geneva Salon. In technical terms, this model offers the usual Lamborghini power, while it creates a visual impression thanks to light effects and contrasting colours: the grey model features impressive red rear view mirrors and an orange dual strip along the bonnet. 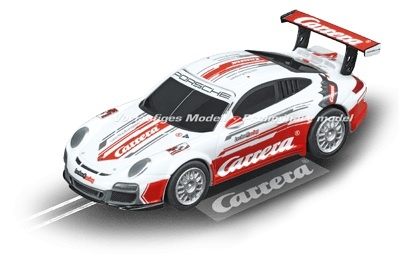 Carrera 64103 Porsche GT3 Cup - Lechner Racing Carrera Race Taxi 1/43 Scale---PRE-ORDER NOW! No other taxi offers so much power! Any motor sport fan can take a seat in this taxi as a co-driver: in the Porsche GT3 Lechner Racing, in Carrera Race Taxi livery with the Carrera logo, any fan can enjoy three laps of the Salzburgring and experience the 475 horses at full throttle for themselves. 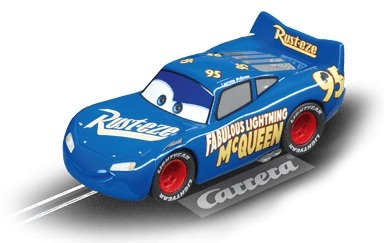 Carrera 64104 Disney·Pixar Cars - Fabulous Lightning McQueen - Blue 1/43 Scale---PRE-ORDER NOW! 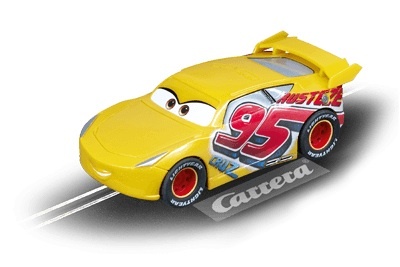 Carrera 64105 Disney·Pixar Cars - Rust-Eze Cruz Ramirez 1/43 Scale---PRE-ORDER NOW! The new high flyer in the Cars Universe In the Disney•Pixar Cars blockbuster, Cruz Ramirez is the new whizkid who wins out over new challengers and old racing heroes. On the Carrera GO!!!! racetrack, she races into the hearts of young racing drivers as “Rust-eze Cruz Ramirez” in yellow paint with “Rust-eze” lettering. 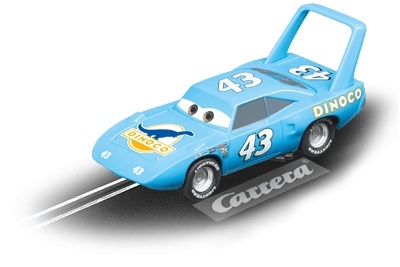 Carrera 64106 Disney·Pixar Cars - Chick Hicks---PRE-ORDER NOW! 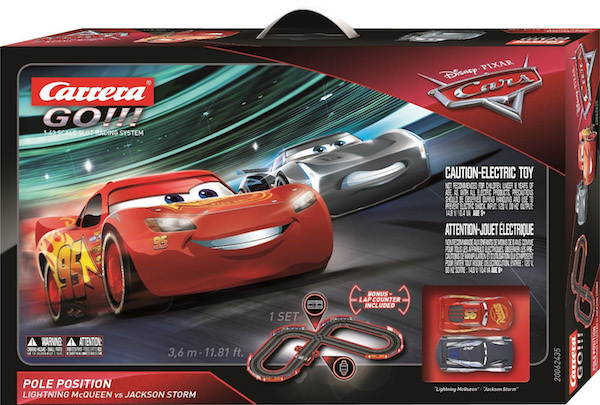 Carrera 64107 Disney·Pixar Cars - Strip The King Weathers 1/43 Scale---PRE-ORDER NOW! The old stager of the Cars racing circuit, “The King” Weathers is the veteran of the Cars movie universe and a seven-times winner of the Piston Cup. In the movies, he has retired from active racing – but on the Carrera GO!!! track, retirement is the furthest thing from his mind – he continues to keep the pedal to the metal, extending his record of success. 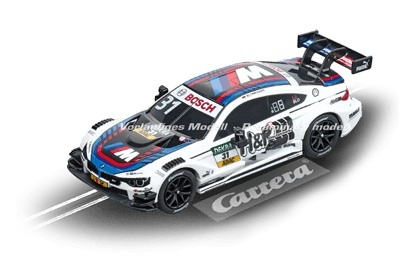 Carrera 64108 BMW M4 DTM T. Blomqvist, No. 31 1/43 Scale---PRE-ORDER NOW! Full speed ahead with the DTM The British-Swedish racing driver, Tom Blomqvist, has been driving for the Bart Mampaey Racing Team in the DTM since 105. His white BMW M4 DTM, number 31, achieves a power output of over 500 PS with extensively modified aerodynamics! 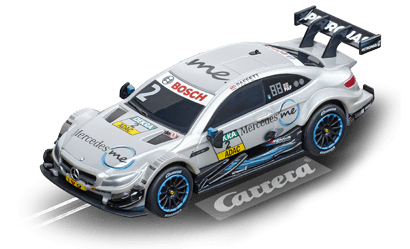 Carrera 64110 Mercedes-AMG C 63 DTM G. Paffett, No.2 1/43 Scale---PRE-ORDER NOW! Facelifted DTM cars The British driver, Gary Paffett, races for Team Mercedes-AMG DTM HWA behind the wheel of the Mercedes AMG C 63 DTM, achieving 10th place in the driver rankings for the 2017 season. The model was updated all round for the 2017, with 70% of parts being new compared to its predecessor. 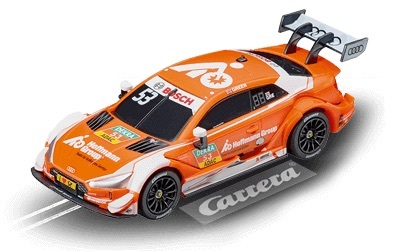 Carrera 64111 Mercedes-AMG C 63 DTM P. Di Resta, No.3 1/43 Scale---PRE-ORDER NOW! Cinematic viewing Featuring the logo of the TV Spielfilm guide on its flanks, British racing driver, Paul Di Resta’s Mercedes AMG C 63 DTM delivered a cinematic performance in the DTM – a tough competitor with over 500 PS available under its bonnet. 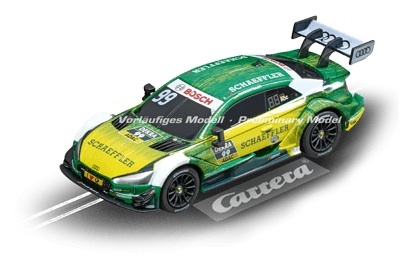 Carrera 64113 Audi RS 5 DTM M. Rockenfeller, No.99 1/43 Scale---PRE-ORDER NOW! The neon flash The third-generation Audi RS5 DTM features even more extreme aerodynamics than its predecessor. The Audi RS5 DTM model belonging to the German driver, Mike Rockerfeller, part of Audi Sport Team Rosberg, also stands out thanks to its vivid green and neon yellow racing livery. 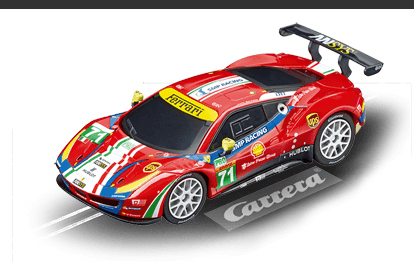 Carrera 64114 Ferrari 488 GTE AF Corse, No. 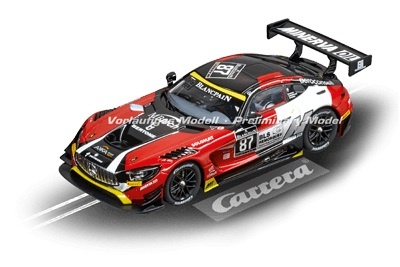 71 (Red) 1/43 Scale---PRE-ORDER NOW! A guaranteed winner in distance racing as well At the 2017 Liqui Moly Bathurst 12 Hour, the Maranello Motorsport team, with its drivers Craig Lowndes, Jamie Whincup and Toni Vilander showed how much power is hidden under the bonnet of the Ferrari 488 GT3 – after starting on pole position, they never fell below fifth place, ending the race as winners. 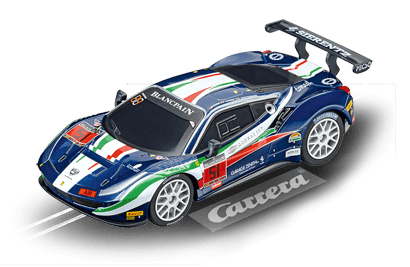 Carrera 64115 Ferrari 488 GT3 AF Corse, No. 51 (Blue)---PRE-ORDER NOW! 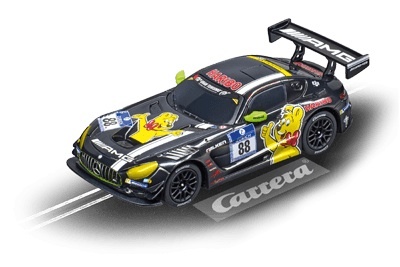 Carrera 64116 Mercedes-AMG GT3 Haribo 1/43 Scale---PRE-ORDER NOW! The fastest golden gummy bear Gummy bears everywhere have plenty of reason to celebrate: at the seventh VLN Distance Racing Championship at the Nürburgring in 2017, HARIBO Racing Team Mercedes-AMG achieved a great result, finishing second after starting on pole. 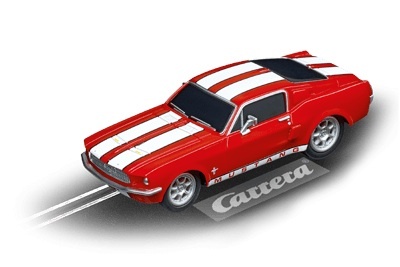 Carrera 64120 Ford Mustang '67 - Racing Red 1/43 Scale---PRE-ORDER NOW! A dream for all classic car fans The Ford Mustang is a true legend and the original ponycar. In bright red, it will awaken the racing dreams of any fan of classic sports cars. 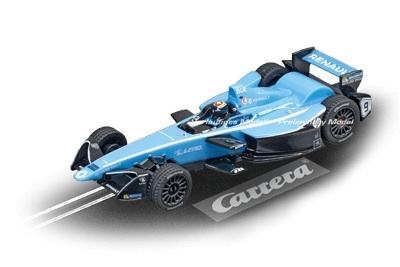 Carrera 64125 Formula E 1 1/43 Scale---PRE-ORDER NOW! 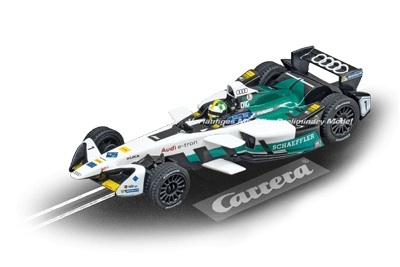 Carrera 64126 Formula E 2 1/43 Scale---PRE-ORDER NOW! A. J. Foyt and Hurley Haywood drove this Porache to fourth overall at Sebring in 1988. The Slot.it replica is due this fall, so you can pre-oder yours now. 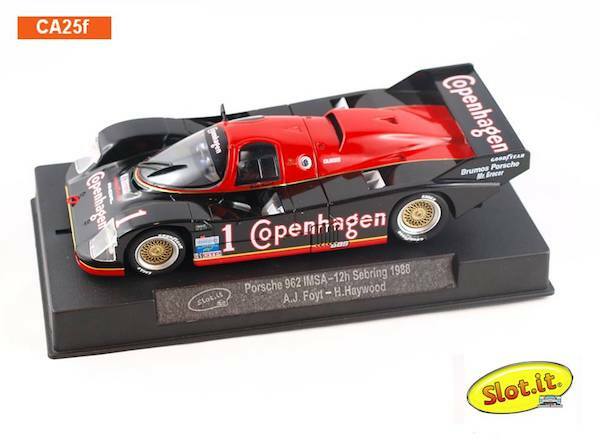 Slot It SICA25F Porsche 962 IMSA Sebring 1988 , Drivers A. J. Foyt And Hurley Haywood—PRE-ORDER NOW!